We are very pleased to present to you this comprehensive community directory of Jewish Orange County for the 2016-2017 Jewish calendar year (5777). 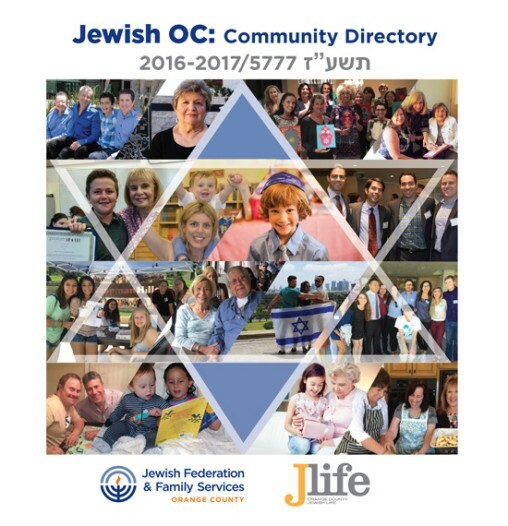 Jewish OC: Community Directory is produced and distributed free of charge by Jewish Federation & Family Services, Orange County (JFFS) in conjunction with JLife magazine. Read the 2016-2017 Jewish OC: Community Directory online. Download a free PDF copy of the 2016-2017 Jewish OC: Community Directory.